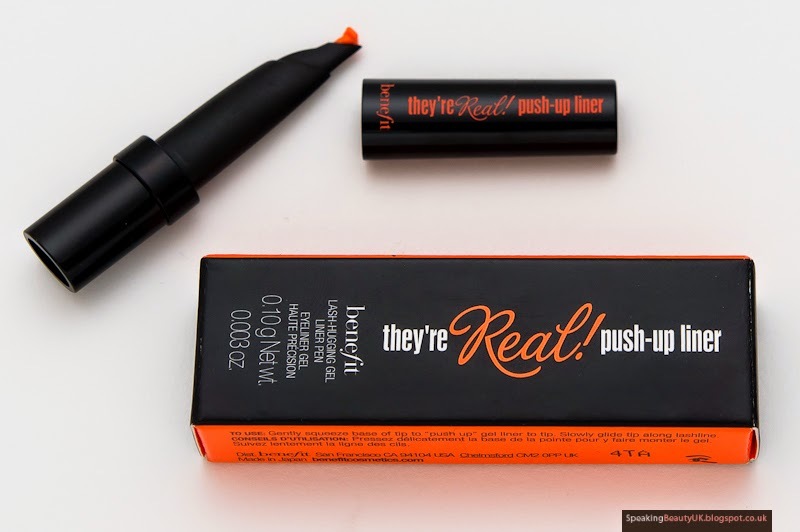 I really wanted to try Benefit They're Real Push Up Liner when it first came out but so many mixed reviews started popping up on the blogosphere, I decided not to bother. 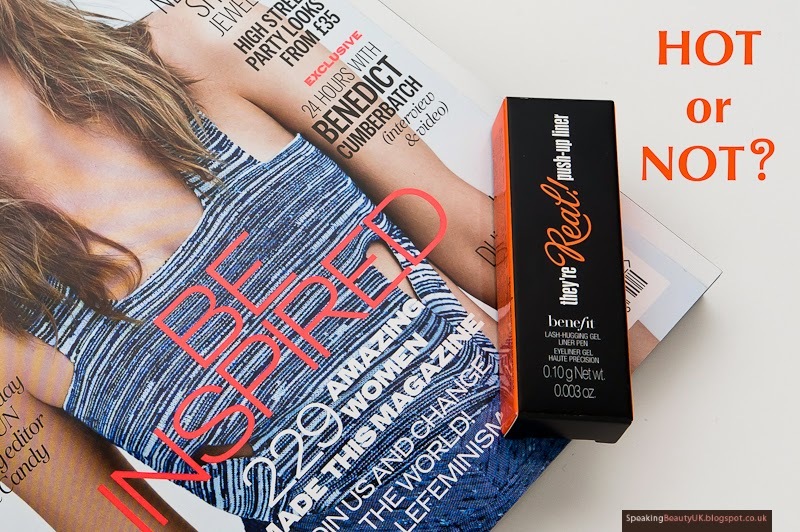 But then I saw the November issue of Elle Magazine came with a little sample size and since it was only £4, I thought it wouldn't kill me to give it a try. Here are my thoughts on it. Unfortunately I can't fully judge the product on its packaging as the sample sadly came in a very different squeezy tube, rather than the twist up packaging that the original full size product offers. The sample tube is rather fiddly and I always end up squeezing more than I should, which is pretty frustrating. But I like that it comes with the same orange protection to stop the product from drying out before we even start to use. The tip/applicator is the same as the full size and I have to say I'm surprisingly impressed with how nice the whole concept is. 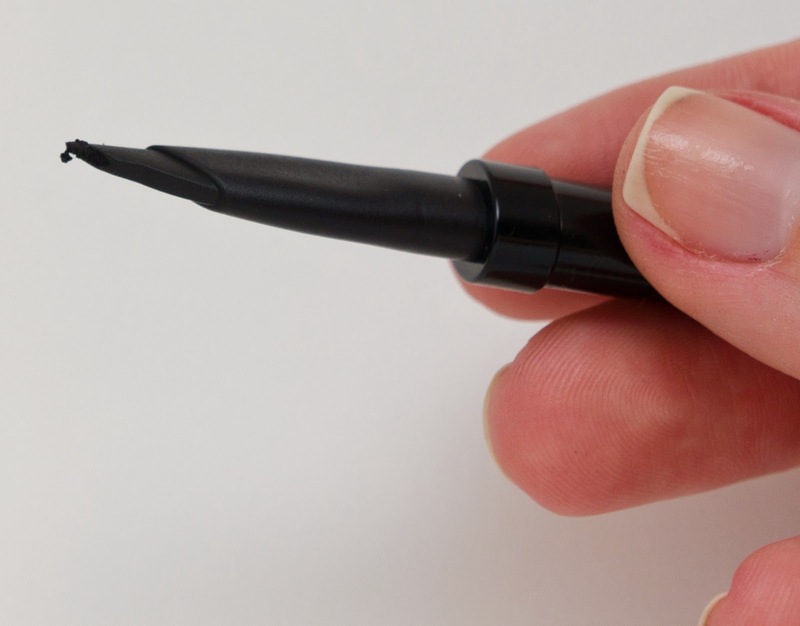 I think the tip really makes the application easy and precise, which is great for someone like me, who's still not that great with eyeliners. But unfortunately the end result doesn't depend on the application alone. So down to what really matters... the formula. 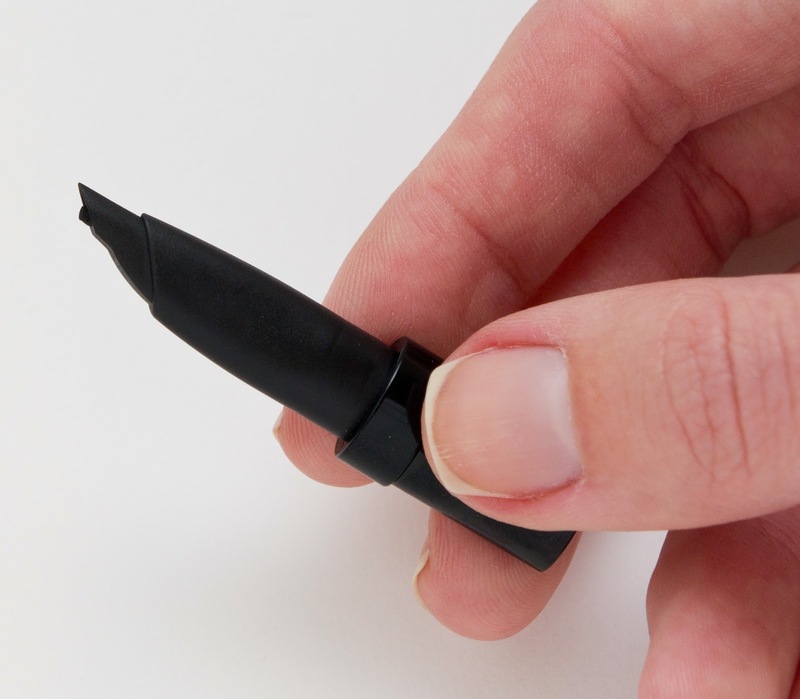 I'm a bit torn here because I really like that the gel is very black and long lasting. I'd say it lasted me a good 8-9 hours, if not more. BUT it's not very smudge proof as some other gel / liquid liners. And the worst is the product seems a bit dry to the point that it starts flaking off as you apply it. Here's a photo of how the product looked during application. It fell on the floor, on my face, everywhere. And honestly, if I had paid £18.50 for it, I wouldn't be happy with the amount of product wasted and the hassle.